hb. 978 0 7502 9985 5, 2016, £13.99, 48pp. When so many countries in Africa and the Middle East are in turmoil, the status of refugees and migrants seeking homes in developed countries is a matter of grave importance and considerable controversy. For this reason it is important for children to understand as far as possible the issues arising from mass migrations and the responses of adult communities. Some adults may think (wrongly in this reviewer’s opinion) that these issues are too complex and multidimensional for children to grasp. Parents may wonder whether it is a service to their children to burden them with these grown-up tensions. Yet these first two books make a serious and praiseworthy effort to help children begin to deal with these issues. After all, a high proportion of those fleeing oppression and starvation are themselves children. In Who Are Refugees and Migrants? Rosen and Young describe the suffering of migrants whether they are in flight from conflict or from economic hardship – from starvation and disease. They employ a powerful method when a complex issue has been described, asking the readers ‘think about’ questions. How would you feel about leaving home? Were any of your family migrants? What plans would you make if you had to leave home tomorrow? 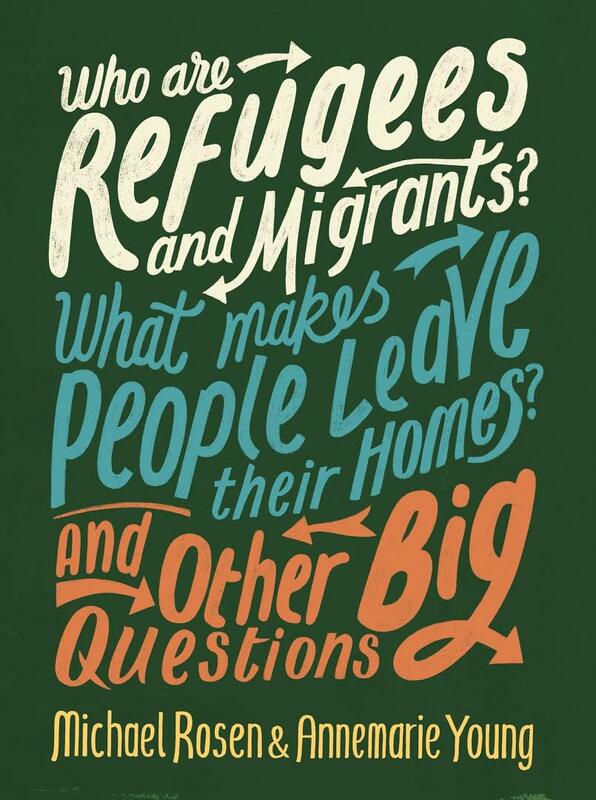 This book is part of the And Other Big Questions series, which aims to get children thinking about the many controversial issues of our day.